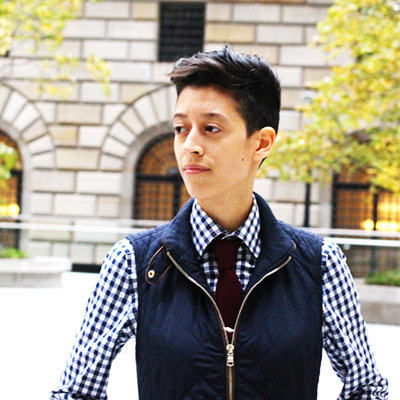 Bianca Negron is a designer & developer living in NYC. She became fascinated with the World Wide Web when her mom purchased Apple's Bondi Blue iMac computer. Later on, she graduated with a degree in New Media Technology. She's currently freelancing & focusing on growing her own web shop, biancadesigns.co, where she sells inclusive pins & goods. She is very passionate about creating things and building meaningful experiences. When Bianca is not glued to her computer she can be found playing guitar, enjoying some good whiskey with friends, traveling, taking pictures of places/people/things, or attempting to play catch with her cat, Jade. © 2007-2019 Bianca Negron, LLC. Handcrafted with in Queens, NY.